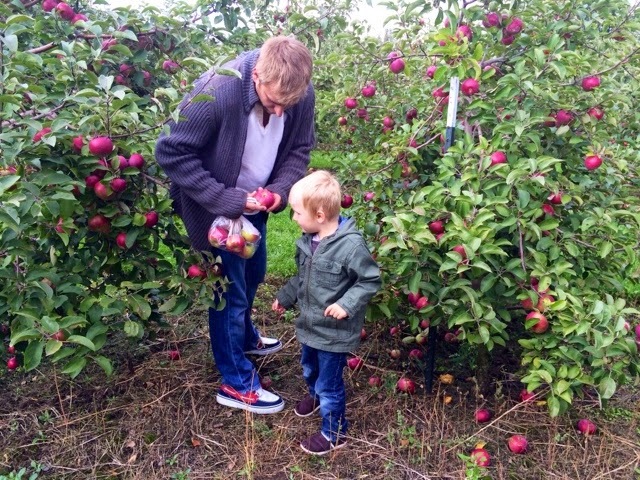 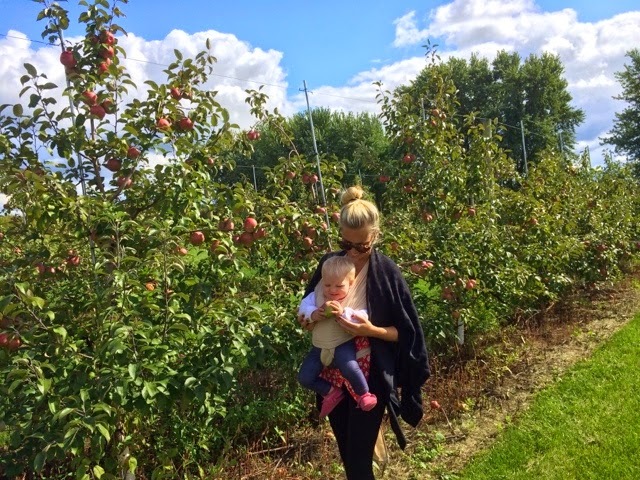 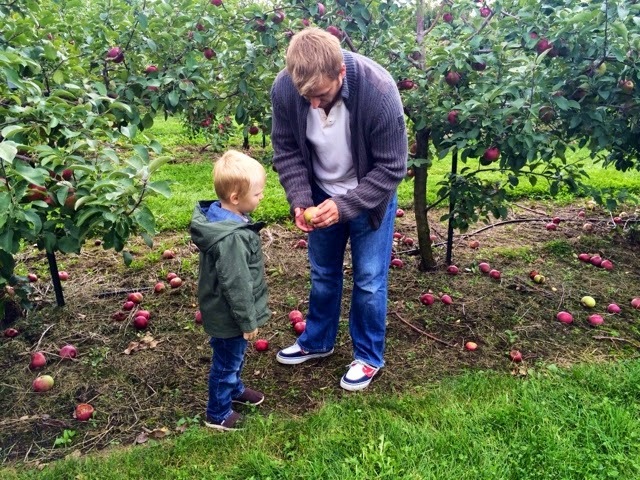 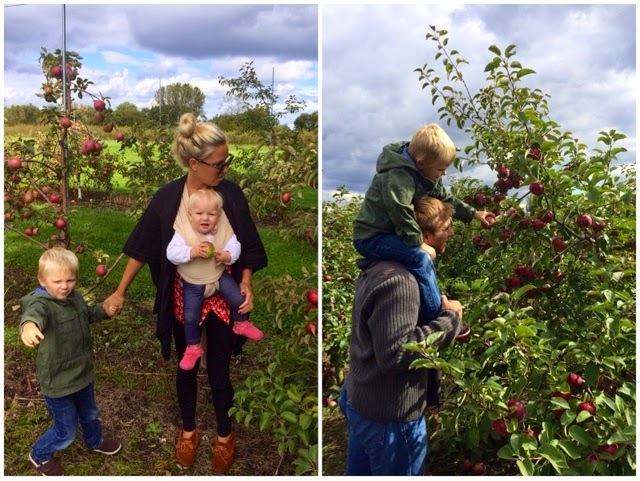 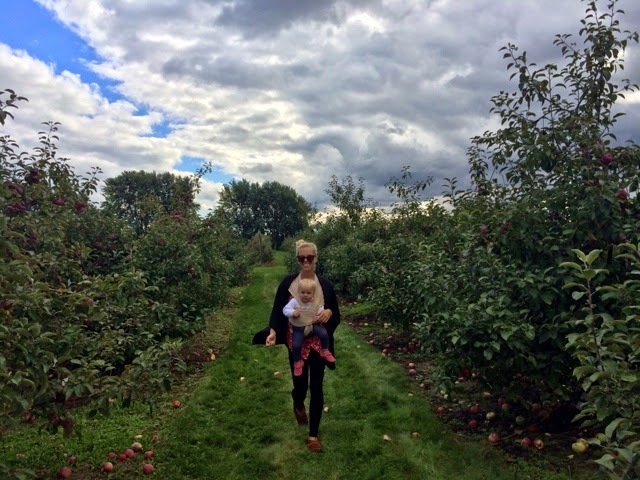 I know I am totally 'basic' with all these apple picking photos but I totally don't care - We literally had one of the best days we've ever spent together as a family this past Sunday at Lang's Apple Orchard in Woodstock IL. 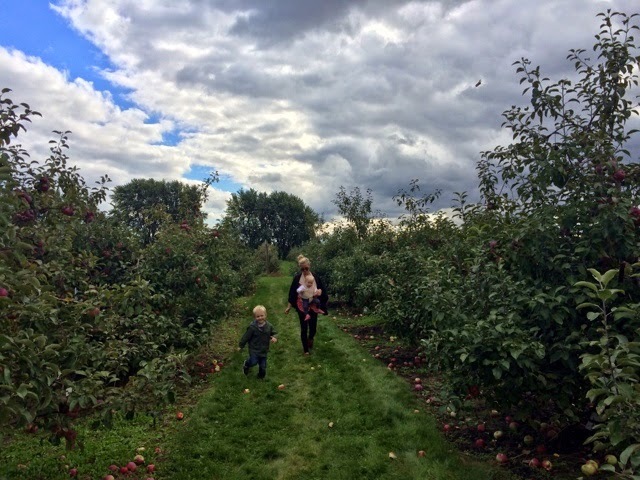 I was recovering from a headache and we really didn't feel like going to one of those crazy 'carnival' orchards with petting zoos and corn mazes and lines and lines and lines swarming with people. 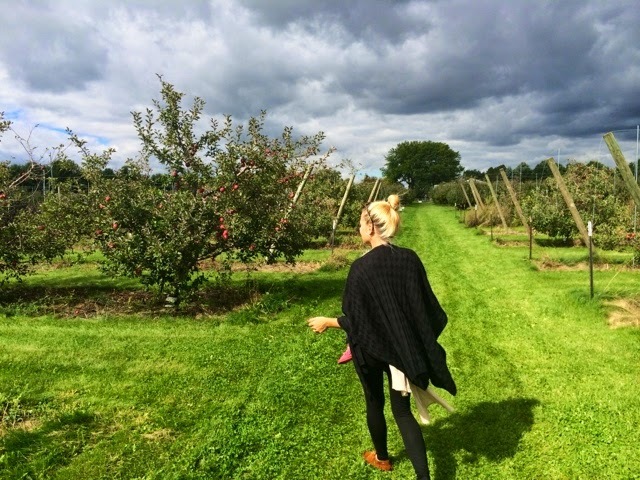 We were really just looking for a no frills orchard where we could just leisurely stroll around, enjoy each other's company, and pick some good apples, and this place was exactly that. 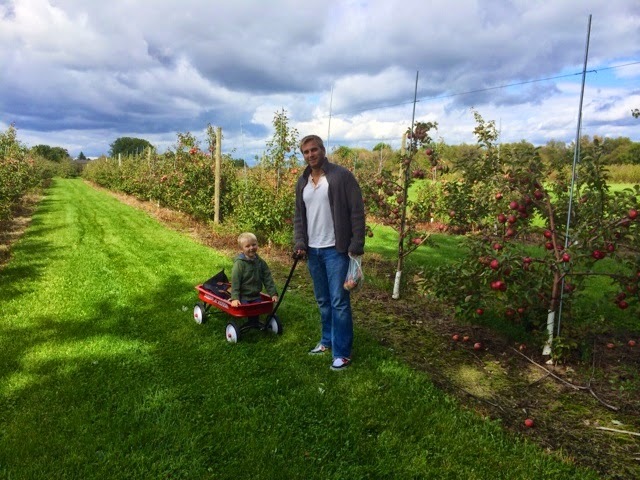 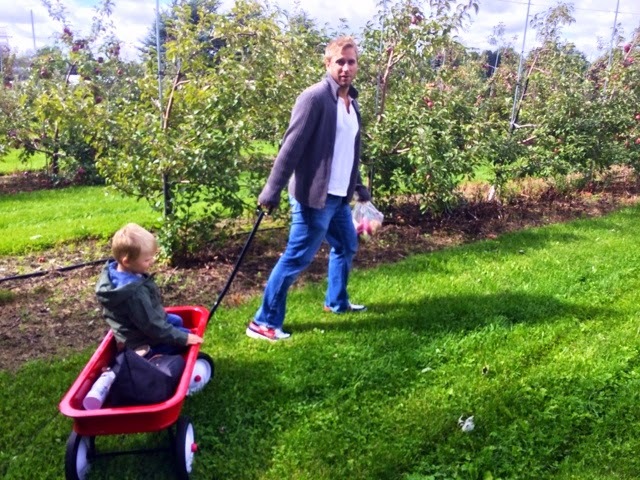 It was a family owned orchard with rows and rows of little dwarf apple trees, barely anyone else there, and tons of beautiful ripe apples, all ours for the picking. 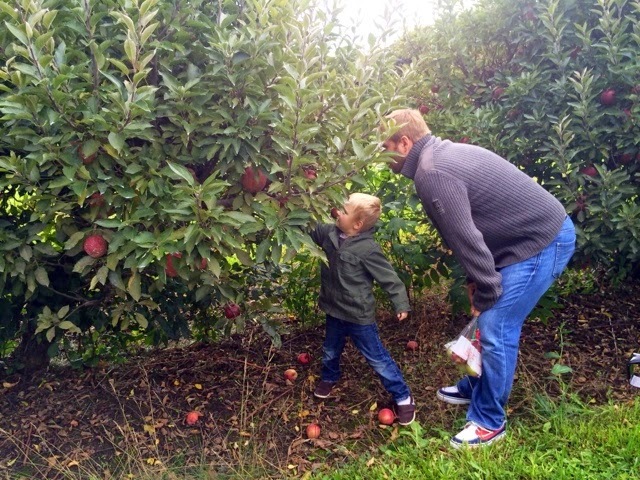 It was so nice to have a festive fall activity planned for the day without having to pay an arm and a leg for parking, admission, food and other add-on expenses whenever there are animals or rides or games or ridiculous things with a price tag present. 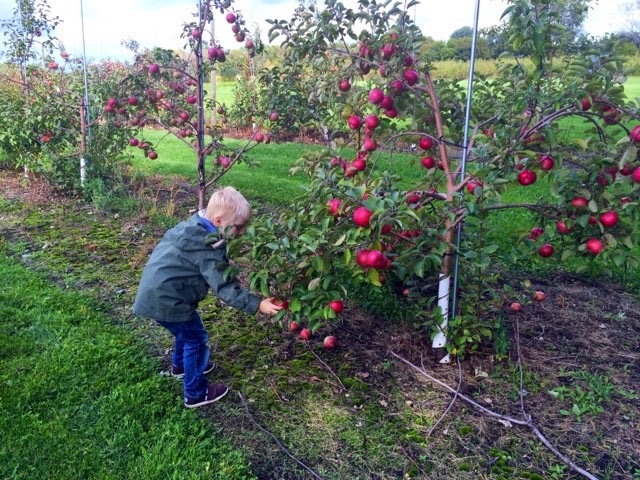 The owner greeted us as soon as we parked our car and was super nice and informative about which apples to pick and which to stay away from and answered any questions we had about our dreams of someday planting and growing our own apple tree (we're serious). 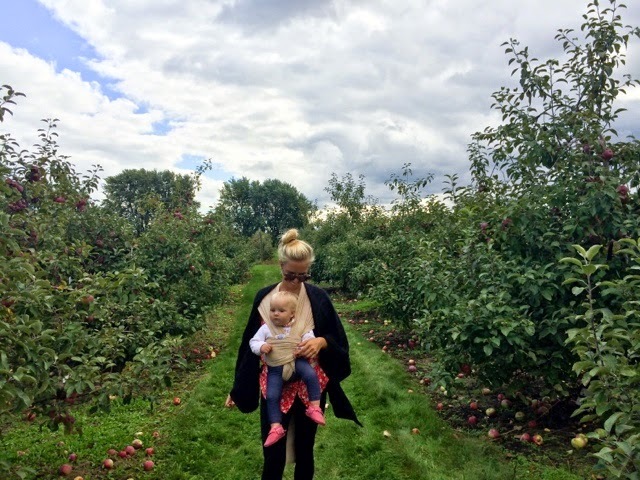 I will absolutely be the annoying basic white girl every single September now to come, and take just as many photos. 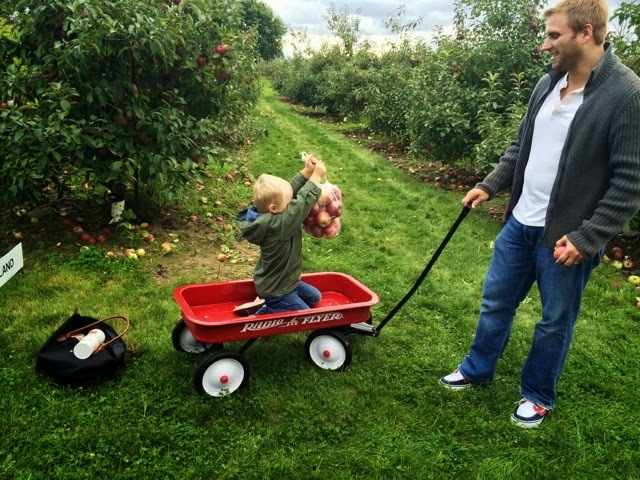 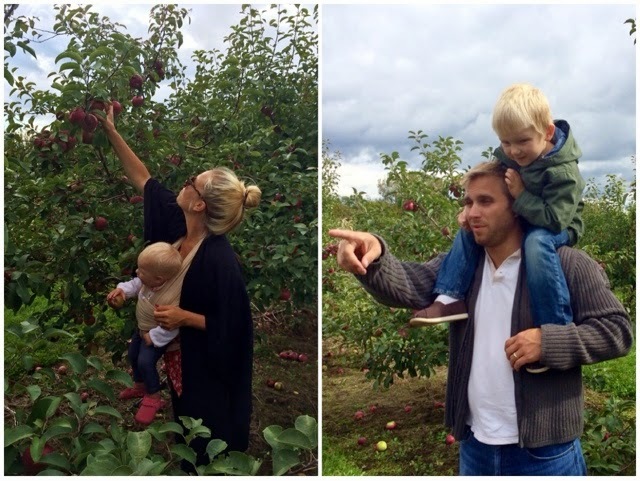 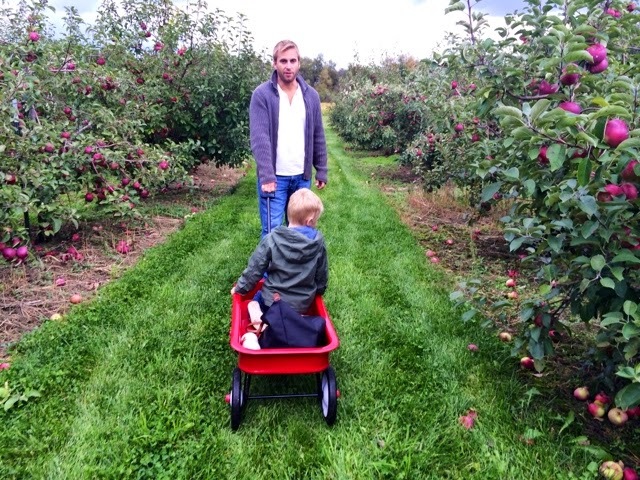 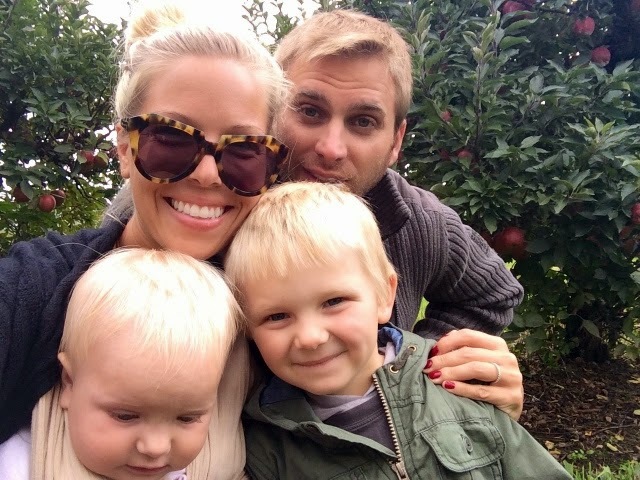 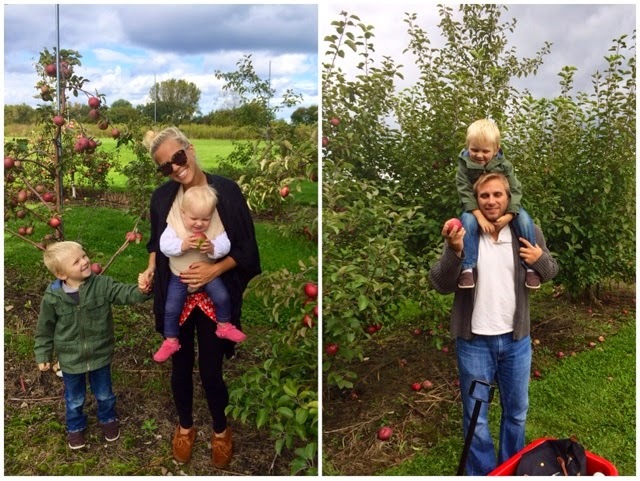 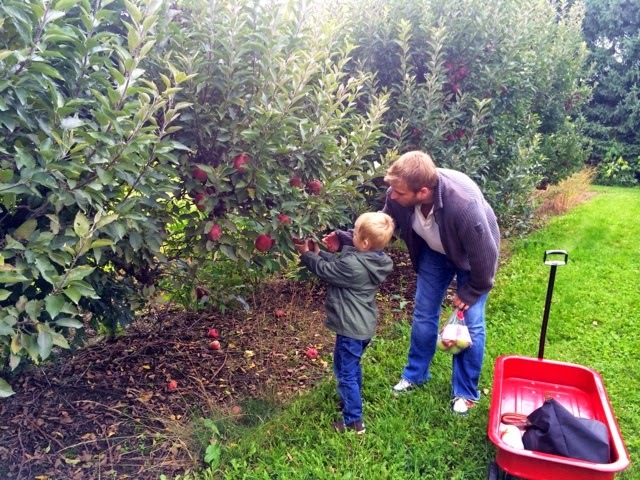 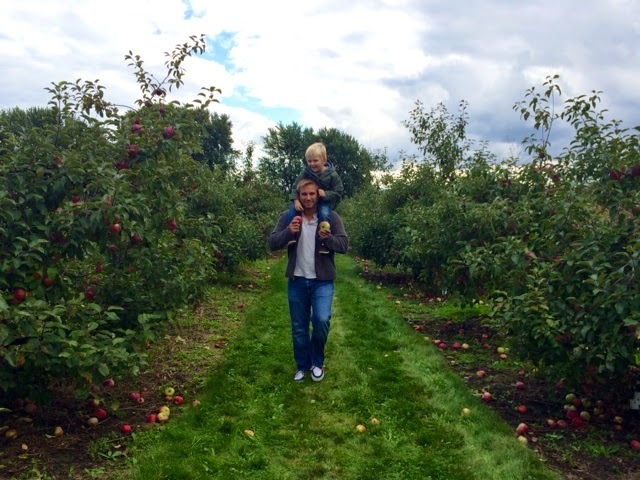 You guys got some great family photos picking apples!! 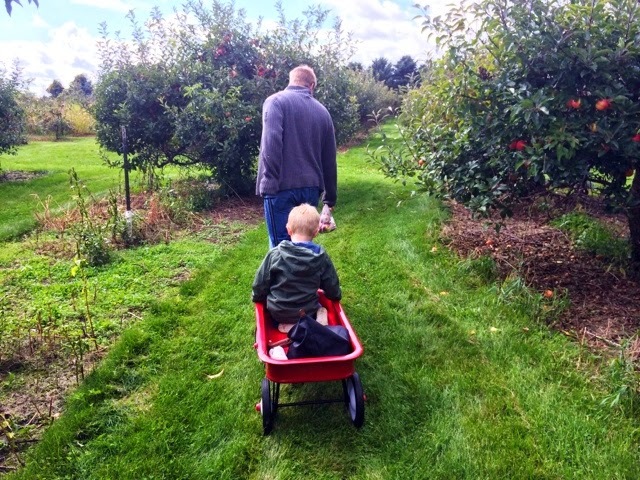 Farm photos are always my favorite!